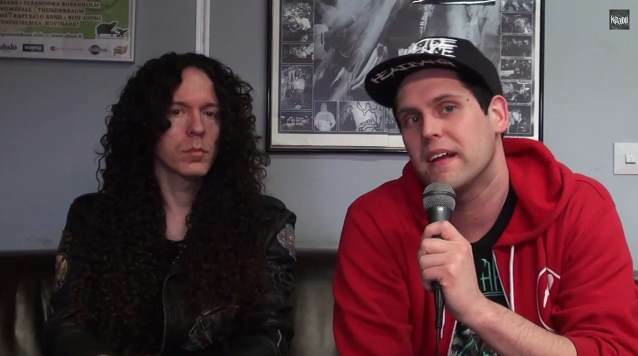 Kaaos TV conducted an interview with former MEGADETH guitarist Marty Friedman on May 2 at Nosturi in Helsinki, Finland. You can now watch the chat below. 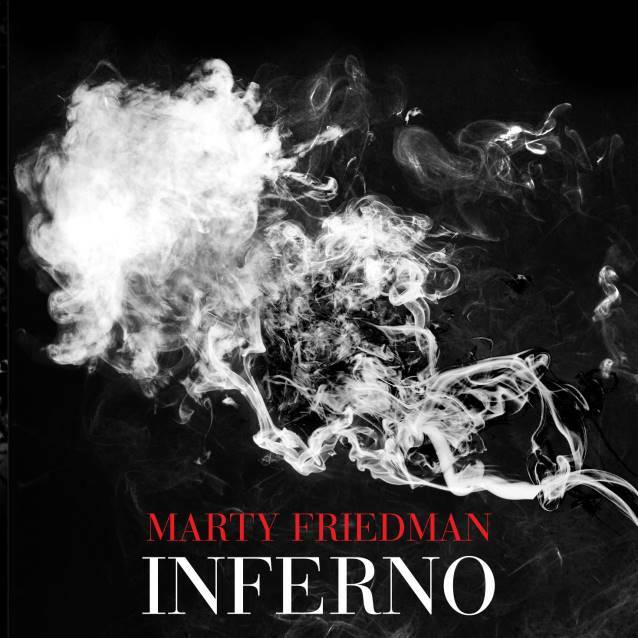 "Inferno" was recorded primarily in Los Angeles with engineer Chris Rakestraw (DANZIG, CHILDREN OF BODOM) and mixed by Jens Bogren (OPETH, AMON AMARTH) — features what Friedman recently told Guitar World is "the most intense writing and playing I can do." The album also includes notable guest appearances by several artists influenced by Friedman, including flamenco/metal acoustic guitar duo RODRIGO Y GABRIELA, CHILDREN OF BODOM frontman Alexi Laiho, SKYHARBOR mastermind Keshav Dhar and David Davidson, as well as Friedman's first songwriting collaboration with Jason Becker since the pair played together in CACOPHONY, the pioneering duo of guitar mayhem. He added: "On the guests' songs, each would write a song from scratch, and then I would arrange it and add my parts to it," Friedman said. "That way, we were both invested in it, and it’s a little bit of a deeper experience than just banging out a guest solo."